Safety on college campuses has been a hot topic for several years now. With tragic events occurring at universities all over the nation, it is understandable that staff, students and even parents may fear for their loved ones. While it is being questioned whether or not guns should be allowed on the college campus, SNU stands true to its policies. SNU is currently a gun and weapon-free campus with no foreseeable plans to change. 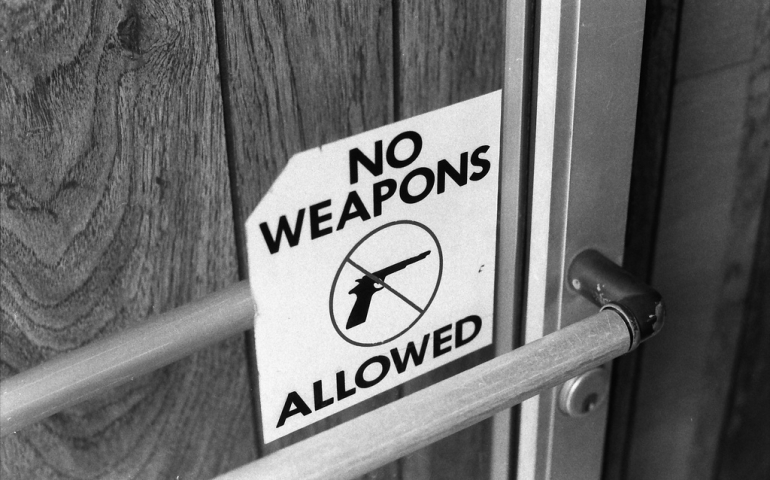 No student, staff members or campus security is allowed to possess weapons while on campus. No weapons should be kept on person, in dorms or in vehicles. If a student or staff member has a license for a concealed carry, they may not carry on campus. With the rise of situations on other campuses, the fact that weapons are forbidden may feel threatening to some. So, why are the odds so low? SNU is a close-knit campus. There are only a couple thousand people on campus at the busiest time of day. This number is low compared to other universities, and allows students to recognize and have a good understanding of one another. While most shootings seem to occur internally, the fact that the student body at SNU is aware of one another is a large safety advantage. While there is no real preparation for these types of emergency situations, ideas have been considered. If there were drills held on campus to prepare, each building would have to have its own plan. If the drills were then tested, a number of students may not get to practice or the same students would experience the drills repeatedly. The idea of being prepared may sound relieving, but the reality is that the plans are not practical. Houston mentioned that in the next few months there will be more information shared with students regarding the issue of safety. Videos and instructions on what to do in a weapon-involved situation will be sent to everyone on campus. Presenting students and staff with useful resources will provide another sense of security. Students play a large role in the safety of their own campus. Houston also mentions that students should be responsible for themselves and one another. For more information about safety on campus, keep checking your email for instructions on what to do in dangerous situations.